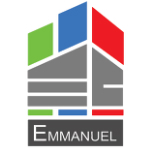 Emmanuel Constructions Private Limited, was established in Bangalore in 2005 with the idea of providing quality real estate for clients in the residential and commercial markets. In a short span of time, we have completed development of 5,00,600 Sq.Ft in the form of residential and commercial projects .With the overwhelming response we received from our prestigious clients, we now have an array of interesting projects that will be launched in the coming days. Each of our projects are carefully designed and built under the watchful eyes of our dedicated teams. The most important feature of “Emmanuel " is that we cater to every budget and lifestyle enabling you to experience great comfort, great features and most importantly great value for money.